Another most Tragic Day in the life of a Flash... you'd think it "runs" in the family! Oof, that was painful, I apologize. 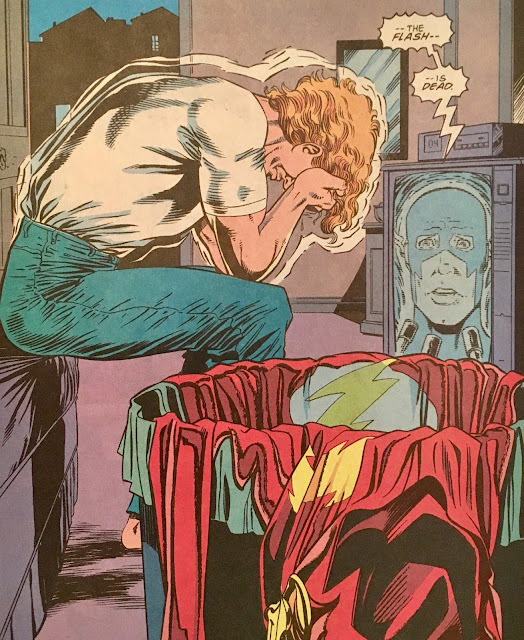 We open in flashback mode, as Wally West reflects on his last remaining moments of having a "real" childhood... ya know, before lightning went and struck twice. He remembers running alongside his uncle... and hero, the Flash... and even the pesky Crisis that took him away. 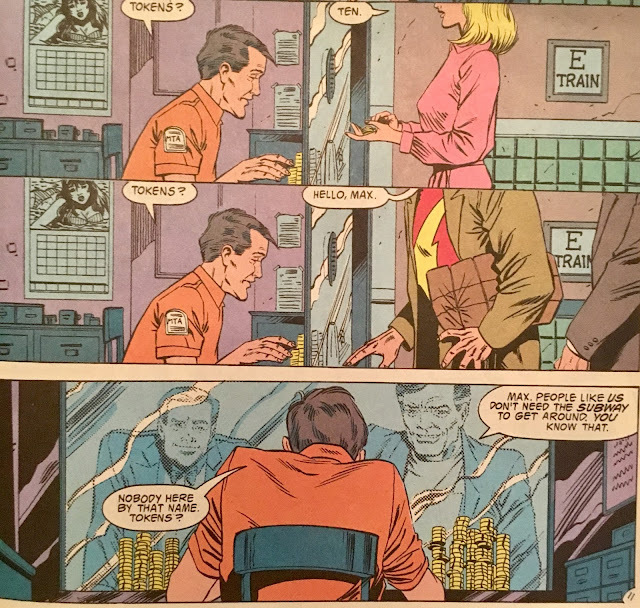 That's all in the past though, as just a few weeks back who should appear on Wally's doorstep but... Barry Allen??? The two scarlet speedsters would immediately fall back into their old partnership... however, it would soon be apparent that something had changed. Ya see, Barry's been acting a bit paranoid... which isn't something anyone is used to seeing. 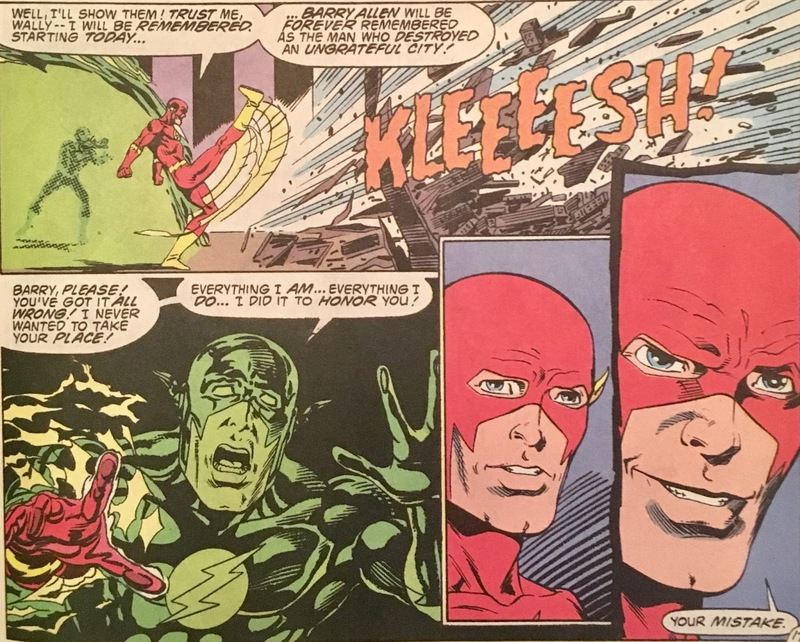 Wally's pretty sure he overheard him shouting that he is the "only Flash" to some random thug. 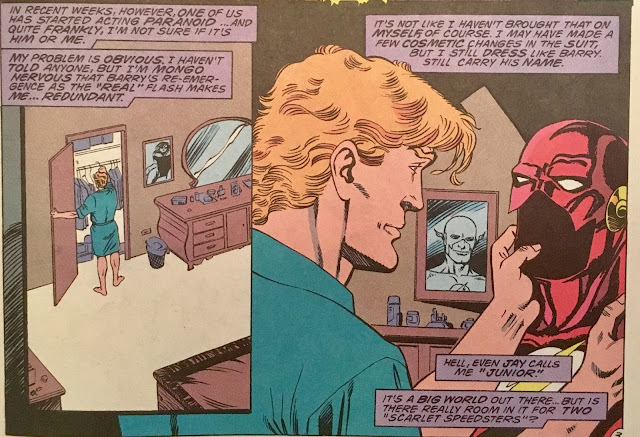 This really isn't helping Wally's own paranoia... he fears that with the "real" Flash back, there won't be a place for him. It's almost as though he's already read DC Comics output since 2009! Oh well, no time to dwell on that... Wally's got himself a lead on the criminal organization The Combine from his pal the Pied Piper he needs to look into. 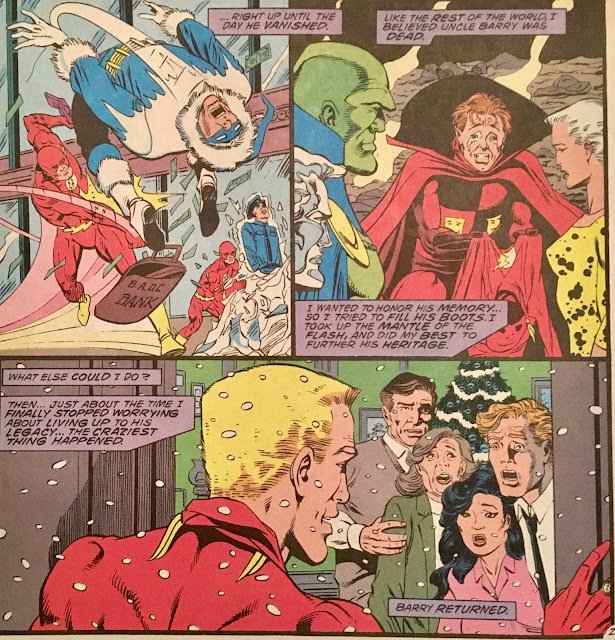 Elsewhere, we join Jay Garrick as he attempts to get a meeting with Johnny Chambers, designer of the "Quickstart!" 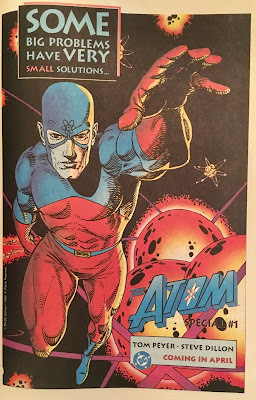 program, as well as the Golden Age hero, Johnny Quick. Johnny is quite the sight... constantly swatting at gold balls in his massive office, while answering several phones at a time. This is one busy dude. Jay is finally able to get his attention to warn him that the thing they feared to happen was likely about to go down. Johnny offers to bring in Jesse (Quick), but Jay isn't keen on including the youngsters just yet. They do agree that they should at least attempt to chat up a certain fella named... Max. We rejoin Barry and Wally as they run through a cheesecakey game of... I don't know what in the water (it doesn't look like they're anywhere near a beach either... so they're just wading in the wash?). Really not sure what the scantily clad ladies are playing... but it does involve a ball. 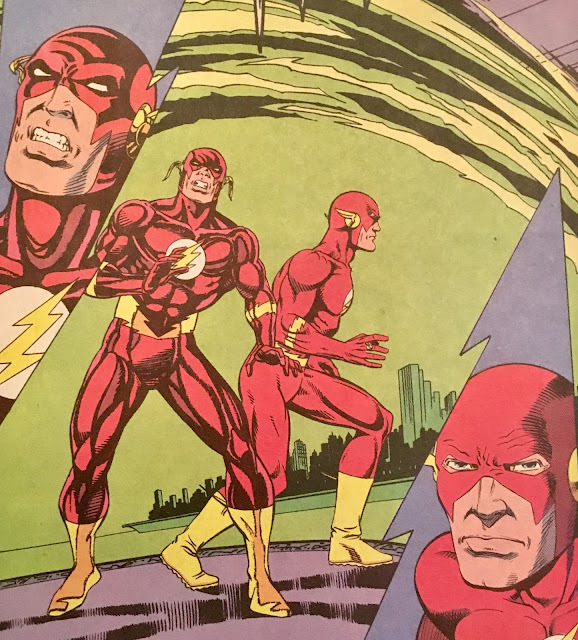 Wally admires the view as they run past... Barry, on the other hand, is all business. 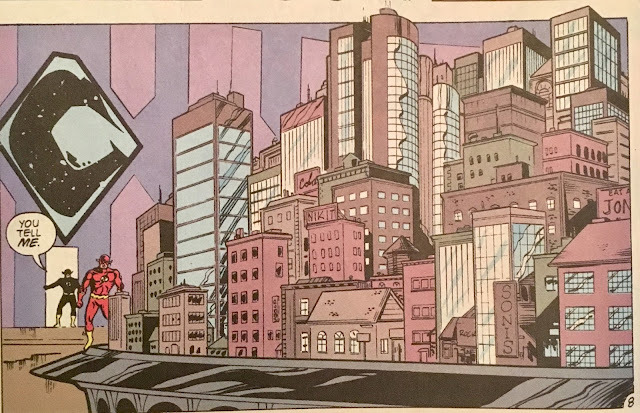 Following Piper's lead, the scarlet speedsters arrive at the twenty-sixth floor of the Broome Building, where they find... a perfect scale replica of the twin cities? They admire the model for a moment, and try to figure out what it all means. They find themselves interrupted by... a dude who looks like Raza from the Starjammers, but who I suppose is actually the leader of The Combine. Thought for a second he was a play on last issue's Dr. Yom... but all they share is a sorta-kinda similar hairline. 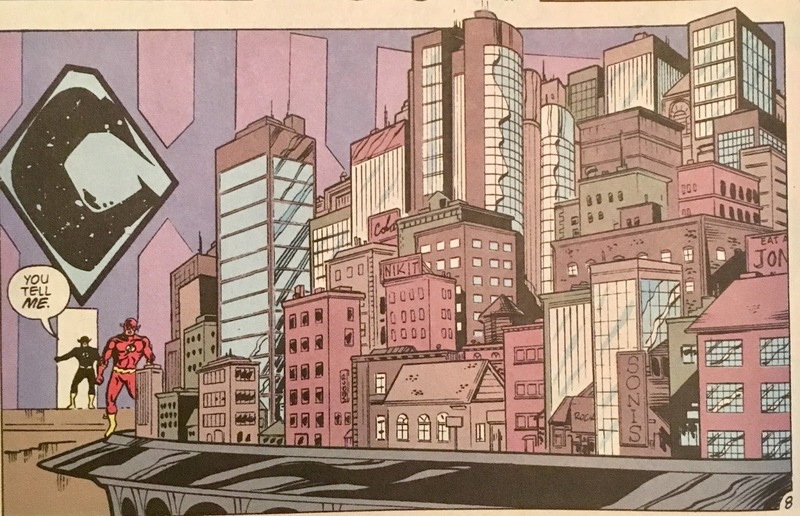 The baddie reveals that the model illustrates which areas of the city the Combine currently controls... which, ya know... seems like overkill. I think a spreadsheet would've served just as well, but I guess there's no "theater" in that. Before bidding our duo "ta ta", he unleashes a force field around the Flashes... one which will continually shrink until it crushes them both! We shift scenes to a subway station where a milquetoast man doles out tokens. 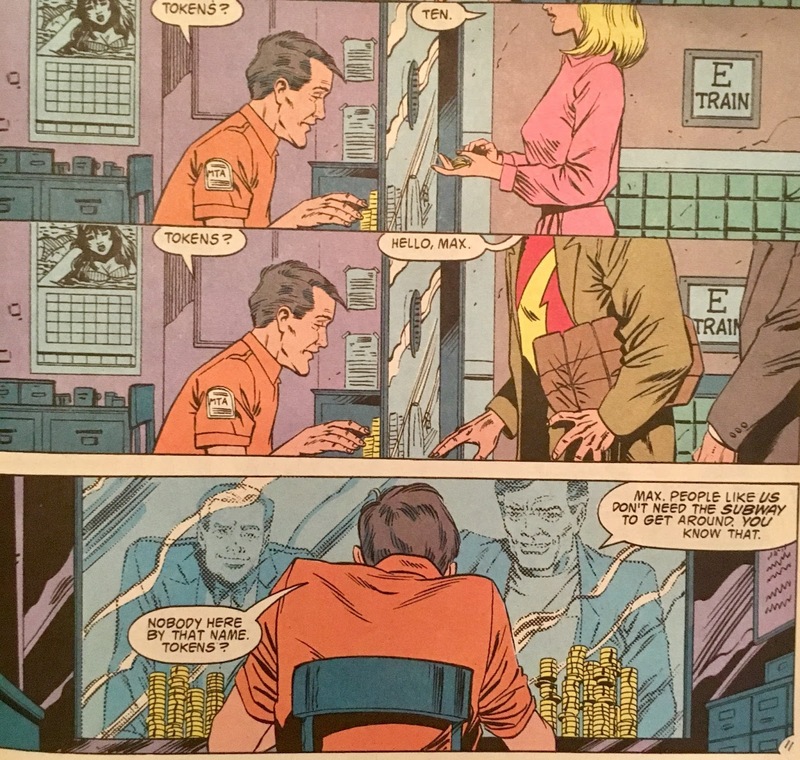 His window is approached by Jay Garrick and Johnny Quick, and they greet him as "Max". He informs them they got the wrong guy, and threatens to call security if they don't either buy some tokens or vacate. Johnny's all "you can't kid a kidder" and starts rattling off Max's other hero names... Lightning, Blue Streak, Quicksilver... but the oldster is still adamant that they're barking up the wrong tree. And so, Jay elbows his window... making the tokens spill everywhere... or they would've anyway, if not for this guy's incredible speed! Gotcha! Max knows that they know that he knows that they know that he's really Max Mercury... and decides to help them out. Back at the Broome Building, the Flashes decide they'll need to work together in order to escape the force field. They realize they'll both need to vibrate in order to bust out... problem is, only one Flash is able to do so. 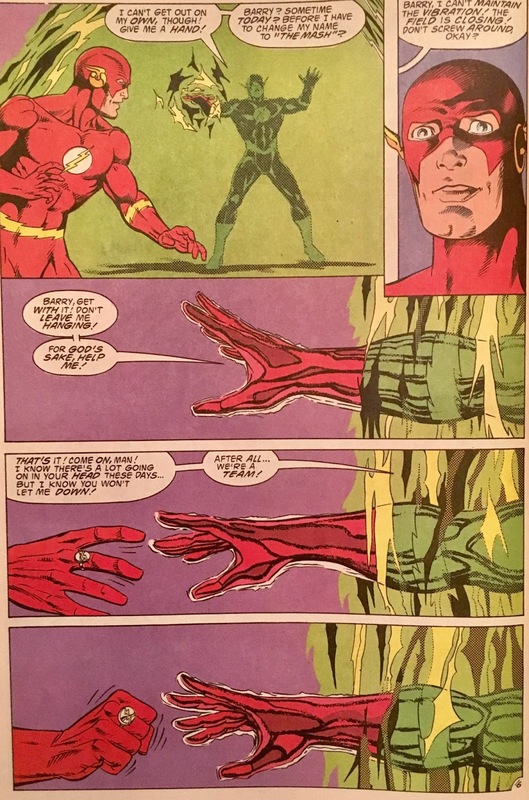 Wally suggests that Barry give him a "jump start" so they can both vibrate and hopefully get through. And whattaya know, it works! 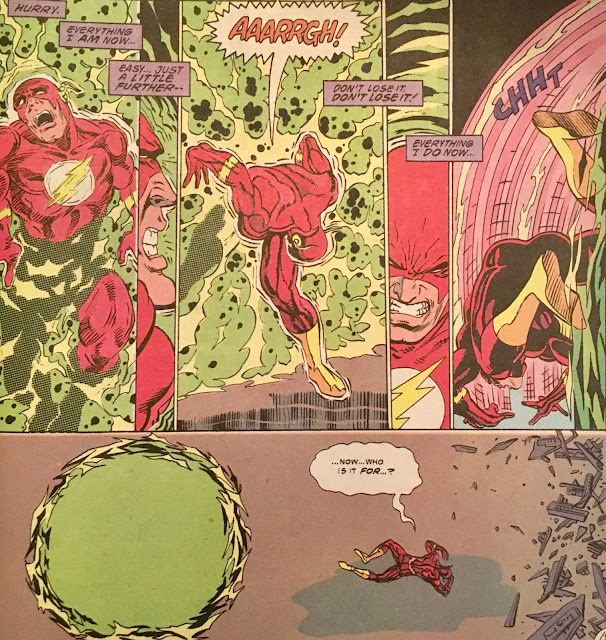 Barry is able to escape first, and when Wally asks for a hand... he... well, Barry turns his back on him! 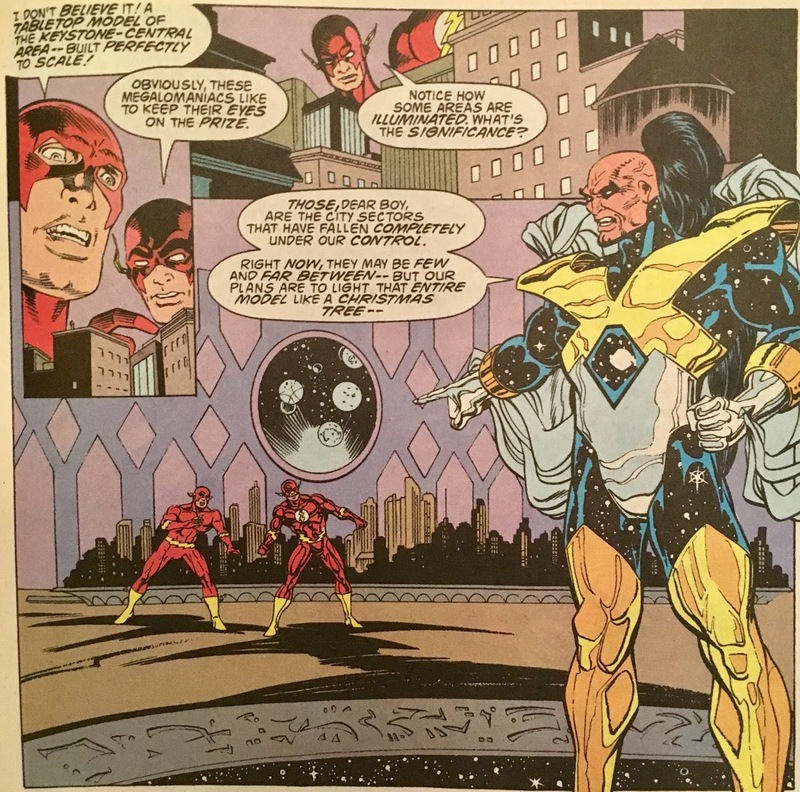 As Wally stands dumbfounded (though still vibrating) Barry explains his (lack of) motivation. He feels as though Wally has usurped his role... and caused the rest of the world to forget he'd ever existed. 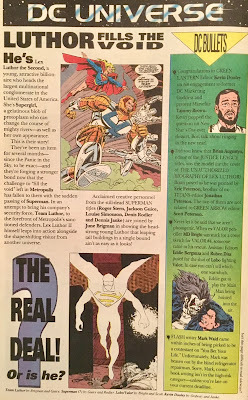 Hey, if Marv Wolfman had his way during Crisis, it'd be as though you never existed at all, pal! Wally insists that he only took up the mantle of the Flash as a tribute... to which, Barry says "your mistake". And so, Barry vamooses... leaving Wally to perish. But, not so fast kemo sabe... Wally ain't giving up without a fight. Instead he focuses in on his vibration, and after one helluva struggle, is able to break on through himself. 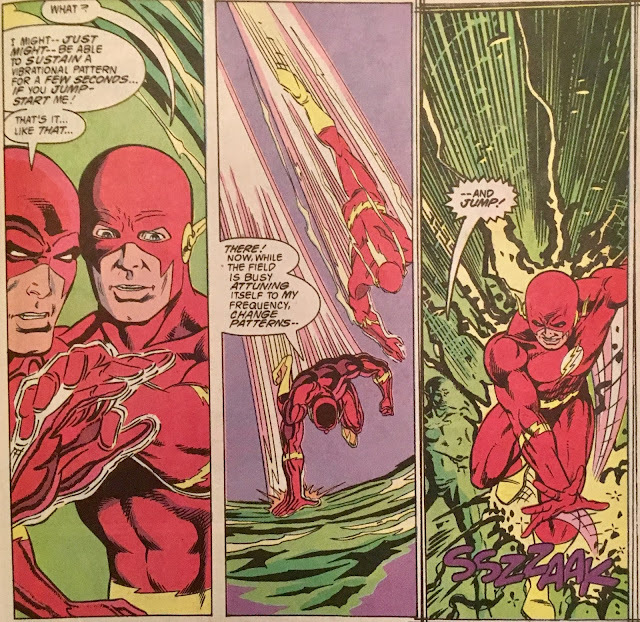 As he hits the ground, he wonders... if he's not doing this in Barry's memory anymore, just who is he doing it for? We follow Wally as he returns home, kicking in the door to his apartment upon arrival. The television is already on... and on the screen, Barry-as-Flash is being interviewed by a reporter. 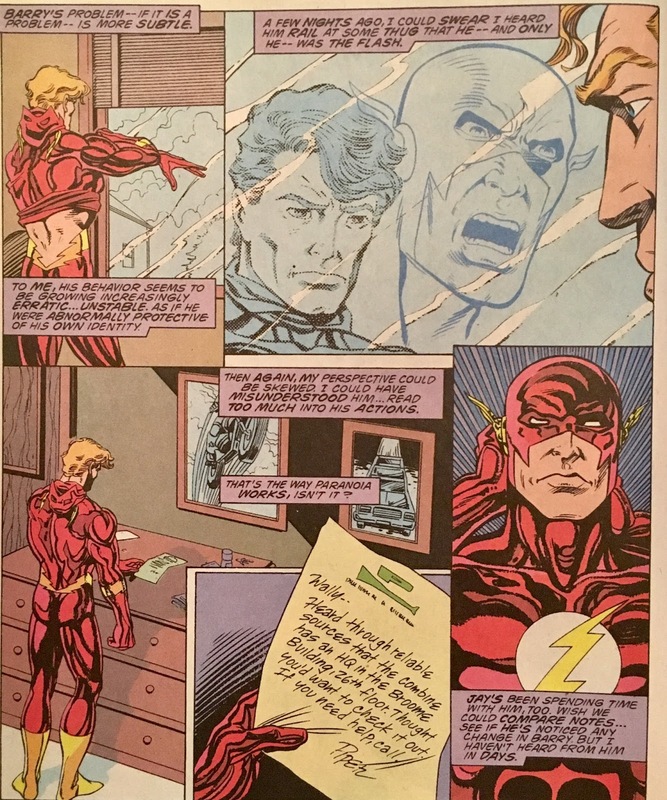 Barry reveals that his former partner... who took up the mantle in his absence... died that day. Well, wouldja lookit that... this one actually lives up to its "tragic" cover copy. This ain't just a romp through time where everything can be undone by just "slowing down"... this one really proves to be one helluva day for Wally West! 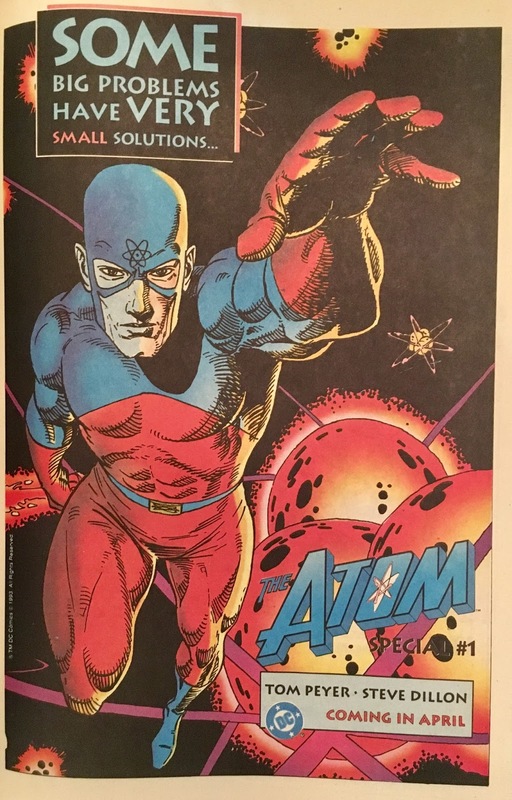 I mean, Wally's uncle and hero returns from the dead... and then attempts to kill him?! That's a bad day. I'm guessing if you're reading this you already have some sort of idea how this all shakes out... but we'll play along for now. Barry's motivations... while extreme... aren't totally out of whack. He was replaced... there's no disputing that. 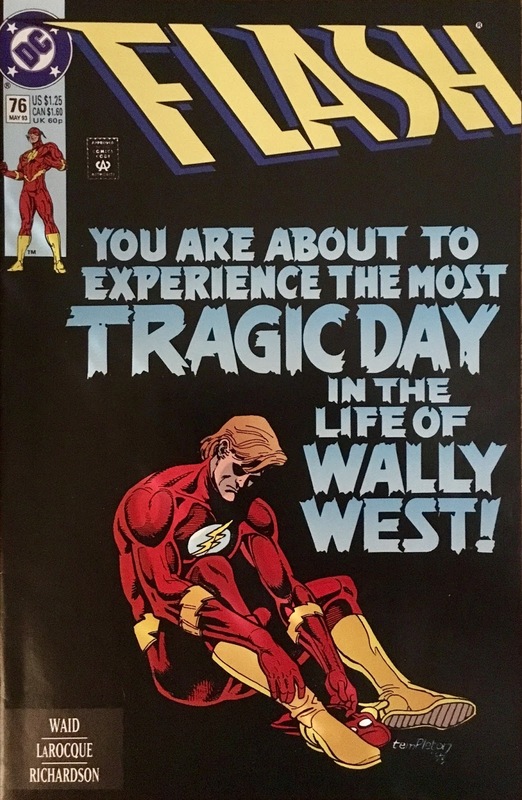 Sure, he was dead at the time... but at the end of the day, Wally did replace him... both in costume and in (likely) the hearts of the people of Central and Keystone City. Of course, he doesn't know that we readers have been regaled of stories of "Saint Barry" for the better part of a decade... but, in his current state of mind, I doubt that matters all that much. 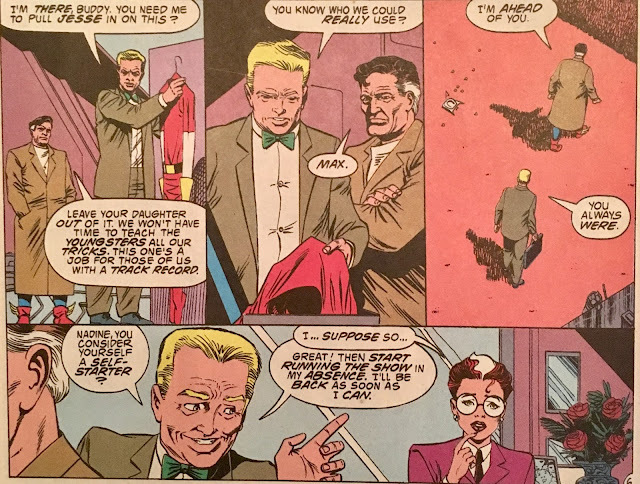 He sees Wally as an affront to his persona... finds an opportunity to rectify that situation... and takes it! That's where we're at... and lemme tell ya, I've read this story several times over... but that scene where Barry withdraws his hand and chooses not to pull Wally through never fails to elicit a pause. This is the first time I'm reading this since DC Universe Rebirth #1 which features... that scene... that damn hug that I struggle through every time I read the thing! That puts this entire scene into a different light for me. In one, Barry proves to be the lightning rod for Wally... and in the other... well, not really so much. They're both powerful scenes... made even more powerful for the others' existence... if that makes even a smidge of sense. Again... let's play along, and pretend we don't know the endgame. We're about six months away from Emerald Twilight here... couldja imagine an evil Hal and Barry team? Not saying it would've been great... but, if there were ever an era where something like that could even happen... it's here! Hell, thinking on it a bit more/too much... we've got evil Supermen lingering about as well as an unhinged armored Batman... we could've had a crazy Injustice League. Okay, enough of that nonsense. The Golden Age speedsters reunion (of sorts) was neat to see... I'm finding more and more that I am a total sucker for these folks. Maybe it's a sign that I'm getting old... who knows. Let's not think about that, okay? Overall... The Return of Barry Allen still proves to be a blast, and is highly recommended. It has been collected, and is available digitally. As with most story arcs, this will almost certainly read better as part of the whole... though, even all by its lonesome, this was a wonderful read! 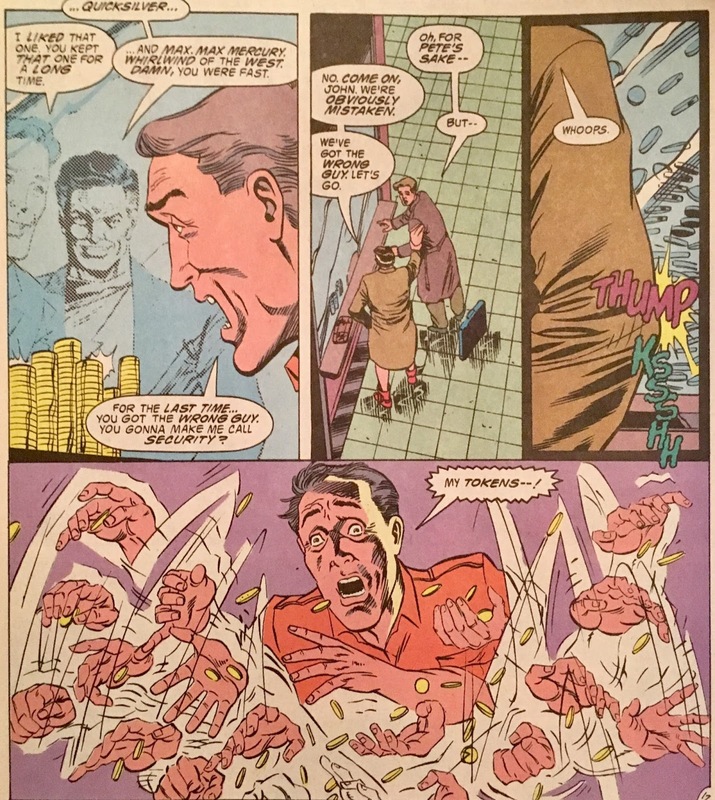 If someone reading this wasn't sure when this comic came out they would know for sure the minute they got to that beach scene. Wow.